Gazing into the eyes of a loved one, friend, or complete stranger is a natural instinct, and one brain scans can now prove. Researchers from the National Institute of Physiological Science (NIPS) took a closer look at what’s going on inside the brain as one person gazes into the eyes of another. Their findings, published in the journal NeuroImage, provide unique insight into why eye contact is necessary to establish social interactions. 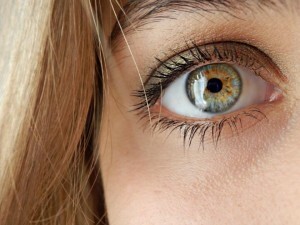 For the study, the research team examined the eyes of 96 participants who had never met before. Over the course of two days, participants sustained eye contact with one another during three different experiments. As they cast their gaze, researchers used a functional magnetic resonance imaging (fMRI) machine to monitor brain activity. Eye contact – the act of looking directly into one another’s eyes. • Another recent study conducted by a research team from Leiden University in the Netherlands confirms the power eyes have when it comes to building trust. In your part is eye contact effective? • By doing eye contact, do you thing is necessary to establish social interactions and Why?